With each and every release from the cult favourite beauty brand Anastasia Beverly Hills, I seem to get more and more excited for it and their new summer release got me so excited I even put a reminder in my phone for it. 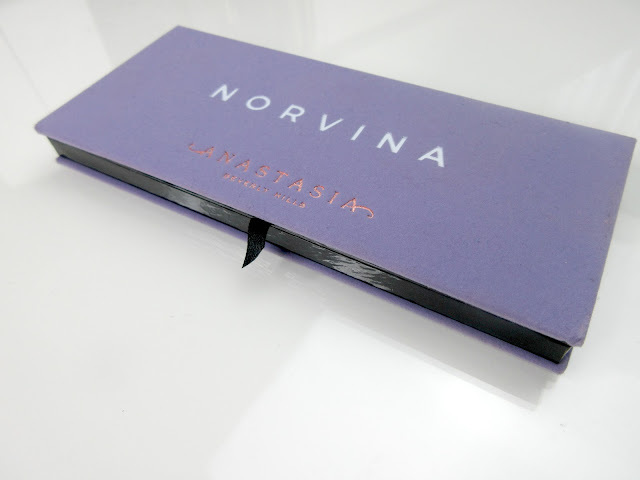 The new summer release includes some lip glosses, a violet liquid lipstick (in the theme of Norvina's cult style) and the Norvina palette which is what I saved up my pennies for and what I am reviewing for you today. I've always had an obsession for purple eyeshadow and if you're an old school follower of mine on here or my YouTube channel you will know this is so true, it just suits every eye colour and really makes my green eyes pop! 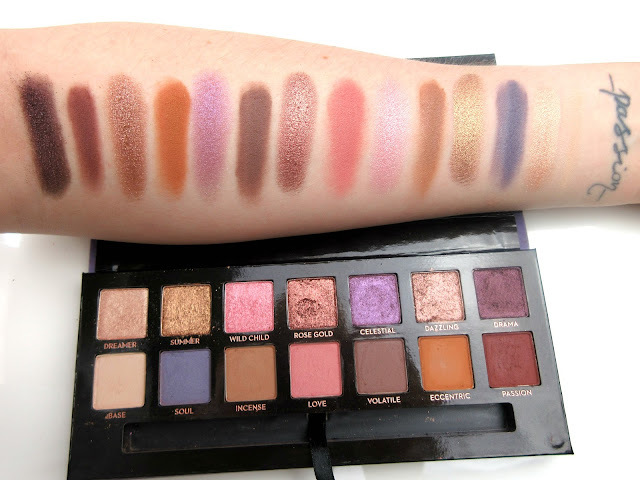 The palette consists of 14 gorgeous eyeshadows which range from some more neutral 'everyday' style shades (I only quote 'everyday' as I think you can wear whatever makeup you want everyday hehe) to bold pink/purple tones and I couldn't be even more in love with this palette at first sight. 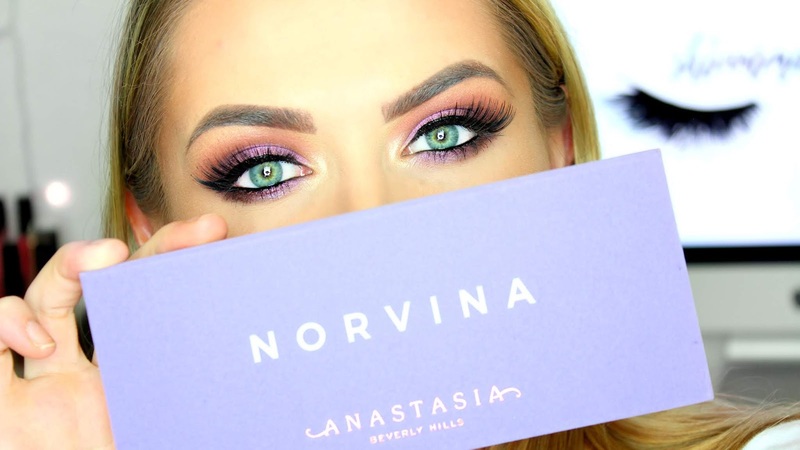 I really admire Norvina and have done since I've learnt more about Anastasia Beverly Hills as a brand a couple/few years ago now, she's the daughter of Anastasia Soare and is pretty much the creator of all of these exciting releases that you see popping up on your Instagram feed on the daily. 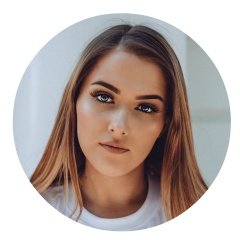 I've seen her on Snapchat & Instagram stories, designing and coming up with new ideas for the next launch, working on shoots and even in the factories sometimes too - it's really inspiring and I think she's incredible, I'd love to meet her one day (I wish). 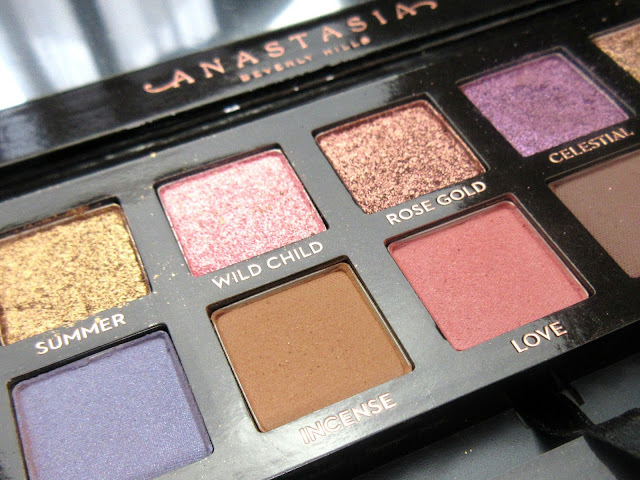 My favourite shades in the palette are 'Rose Gold', 'Celestial' - I would recommend this palette for this shade alone, it's such a stunning purple and 'Passion' which is a beautiful deep colour, that's perfect for the outer corner - this is described as a 'matte deep garnet'. 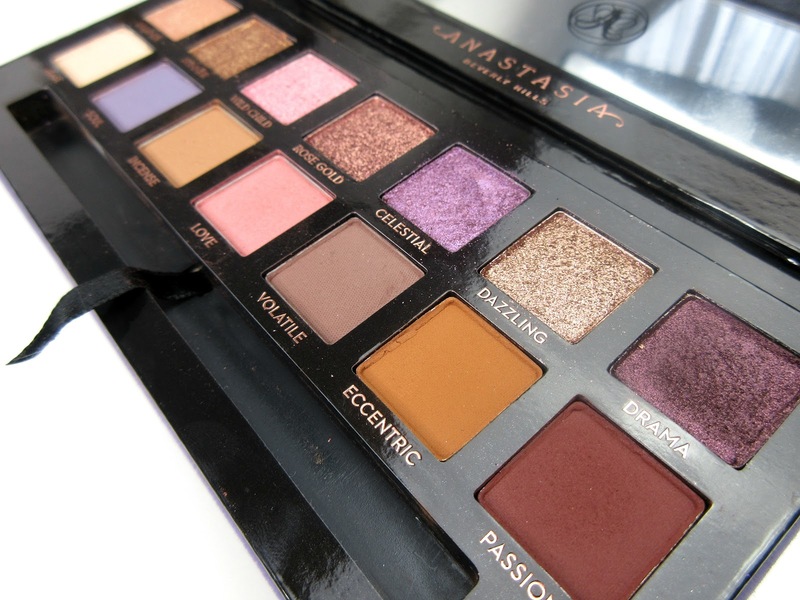 If you've been around these beauty parts in the past year and a half or so, you would've heard about all the controversy surrounding the Subculture palette which I've reviewed here, I personally didn't find it a problem and still use it to this day. A lot of people who reviewed the palette had problems with the shadows clinging to dry patches, being difficult to blend and just not up to the Anastasia shadows standard that they were used to. Since the Subculture drama, the palettes 'Soft Glam' & now, 'Norvina' have definitely impressed us and I haven't seen a negative review about the Norvina palette anywhere! I find the shadows to be a lovely blend, amazingly pigmented and so pretty so if you can't tell already I love this palette and I'll be adding this to my most used palettes - let me know if you'd like me to do a blogpost on my favourite eyeshadow palettes? 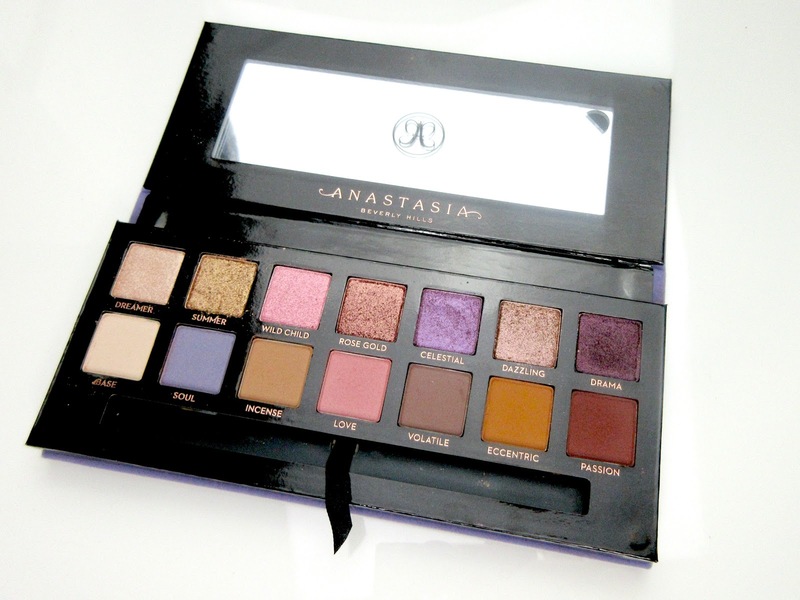 You can purchase the palette for £43 from Anastasia Beverly Hills website here. © shivsblog | Beauty, Fashion, Lifestyle Blog | All rights reserved.